Digital�humidistat allows you to control the humidity level you desire. This digital humidistat will control the Hydrofogger, Minifogger, or either of the Cuoghi humidifiers. It offers adjustable range from 30 to 90% rH, with accuracy of +/- 5%. 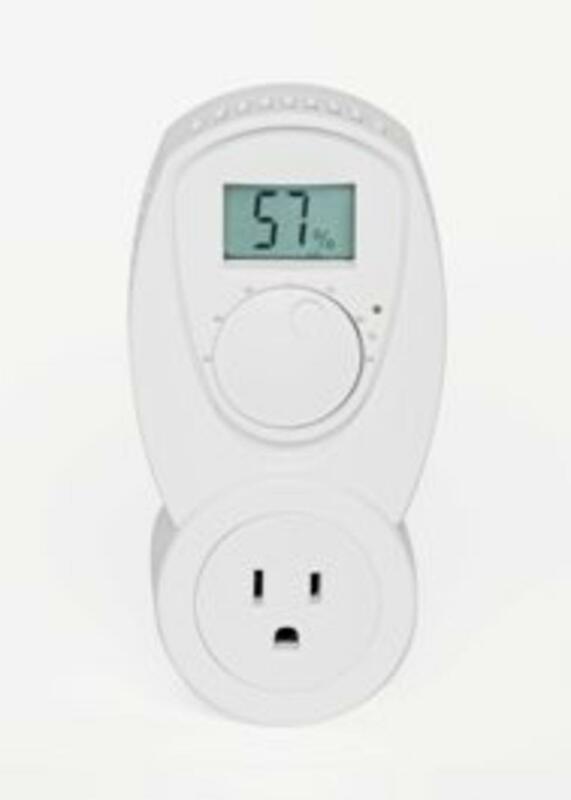 No wiring necessary-simply plug this humidistat into a standard GFCI outlet and then plug the humidifier into the humidistat. Dial your desired humidity level on the digital screen and the humidistat will turn the fogger on/off in order to maintain the setpoint you have chosen. However, use of a hygrometer in to measure the accuracy of the humidistat is strongly recommended. Shipping & Handling is free when ordered with a humidifier. 120V, Contact Rating 15A Resistive 3A Inductive, Switch Action Close on Humidity Decrease, Switch Type SPST, Height 5 1/2" Width 2 7/8" Depth 2 5/8". Weight is 0.8 lbs.